California’s Central Valley contains thousands of acres of land under cultivation and small farming communities that seem to have been frozen in time. 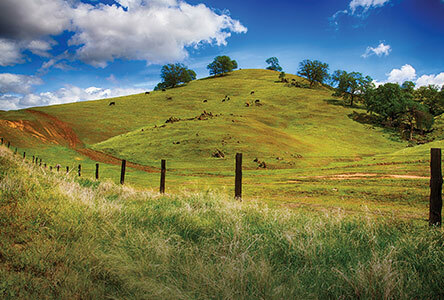 The fertile green strip in the center of California is considered by many to be the greatest garden in the world. The 400-mile-long Central Valley, wedged between the Sierra Nevada range and the coastal mountains in the center of California, is filled with farms, orchards and vineyards growing everything from almonds to peaches to grapes. It’s likely that you’ve benefited from the region even if you haven’t visited before, as it supplies as much as 45 percent of the food eaten in the United States.